What do 324 geese look like? They are overflowing my plastic shoebox. This is the block which finishes at 8''. I'm planning a block layout of 9 x 9. But I'm also thinking about having some negative space like this. Not sure how I'll go until I start making some more blocks! Everything is now kitted in groups of 5 blocks and I can't wait to get started. (Perhaps my OMG goal for July???) I've already made the spa appointment with my LAQ for late August. Making all the geese blocks and the rectangle with triangle (whatever you call that) blocks was my goal for June. 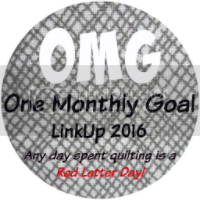 (goal post) I'll be linking up with OMG here at Red Letter Quilts. I'll be linking up with Fort Worth Studio, Confessions of a Fabric Addict, Finish Up Friday, Thank Goodness It is Finished Friday, Sew Cute Tuesdays, , Freemotion by the River, Fabric Tuesday's, WIP Wednesday's, Let's Bee Social, and Midweek Makers. First, make sure you enter the giveaway for a copy of the book Holiday Wishes! 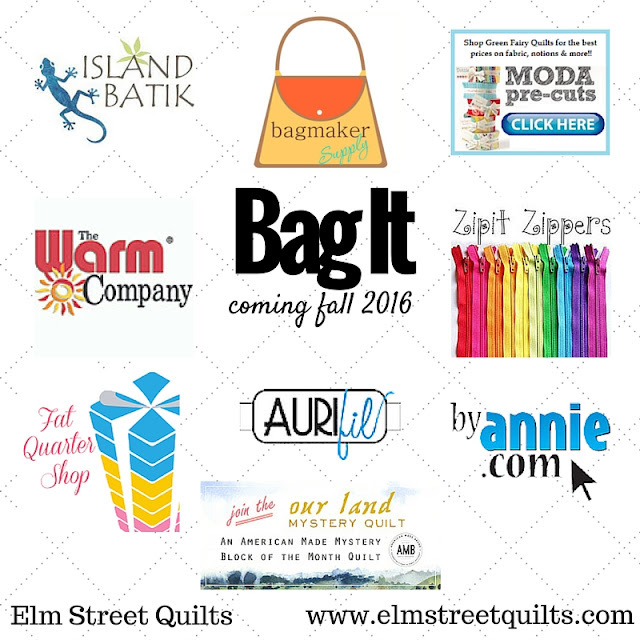 Second, did you see my announcement yesterday for Bag It 2016? Go check that out - not to be missed fun coming this fall! 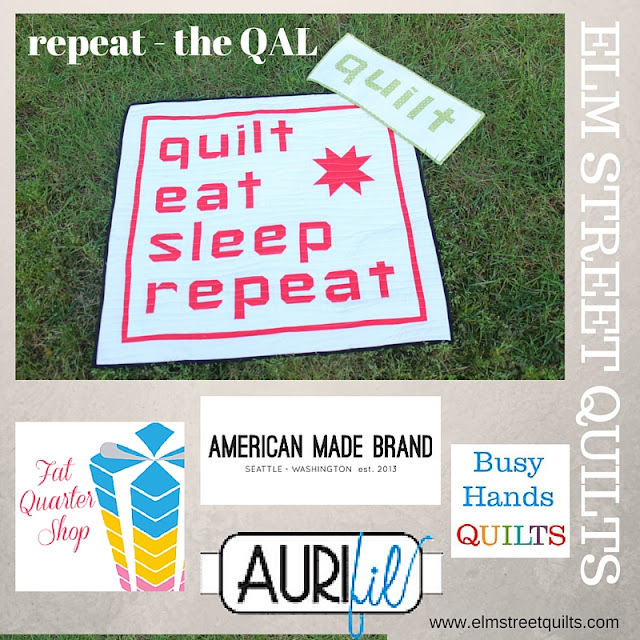 And finally, check out my repeat QAL - patterns have been released for all the vowels plus p & q. Check it out and join the fun! Fantastic block from the geese - that's going to be one lovely quilt! Great flying geese blocks.love the layout with the negative space. Great geese! Your designs are beautiful! Very impressive! Love your fabric choices!